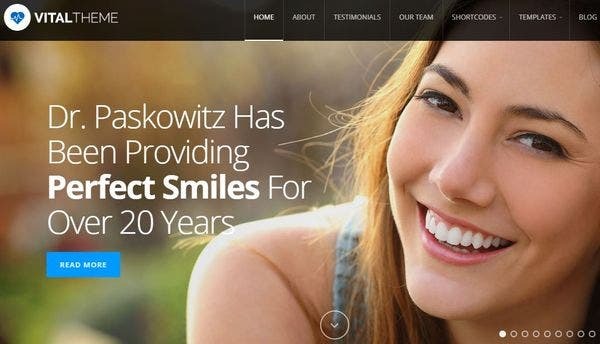 It’s surprising how most therapists still haven’t ventured out into the virtual platform, considering the steady increase in website builders and themes specific to their domain. With a website, you can offer free counseling, blog articles, and other psychotherapy services to attract more visitors and encourage them to subscribe to your website. 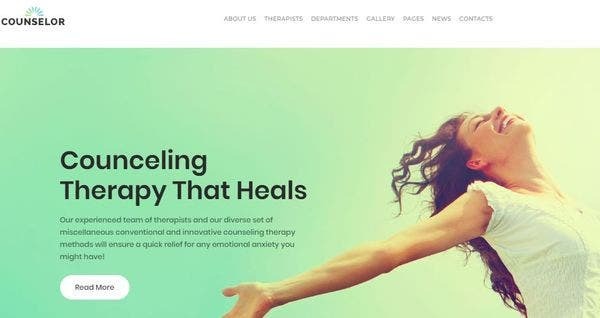 Here are some of the best therapist WordPress Themes of 2019 that you can use for your website. 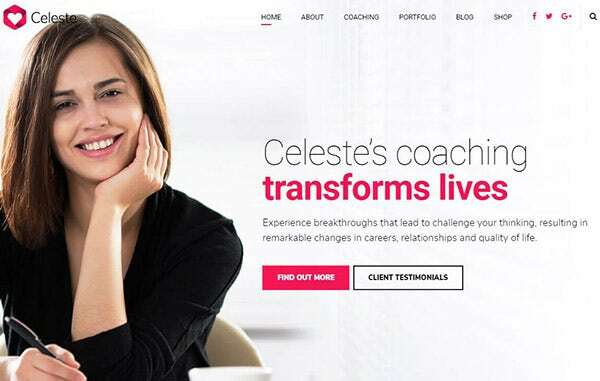 Celeste is a WordPress theme suited for counselors and therapists. Here you can build a platform that offers services from marriage counseling to business consulting. The interface comes with several content blocks for adding blogs, portfolios, contact forms and landing pages on the website. Plus you get Google Fonts, Retina Ready images, SEO tools, newsletter options, and e-commerce support. Clear Mind is a responsive WordPress theme for therapists who want to design eye-catching and practical websites for their services. The interface is optimized for mobile devices, in fact, the retina ready layouts can be adjusted to fit any screen size, hence appealing to a larger audience base. Here you can keep track of the documents, access unlimited images and integrate the Jet Elements plugin as well. Psychology is a theme by WordPress that allows counselors, therapists, and other doctors to manage all their clients from one platform. The theme comes with plugins like Kirki, a front-end toolkit and a Store Locator system to display your services smartly. Other features include WooCommerce integration, YITH Wishlist, Zoom Magnifier feature, Contact Form 7 extension, and Visual Composer support. The counselor is a drag and drops page builder theme that comes with 25 demo modules, a photo gallery, and multiple layouts for creating websites from scratch. The interface is divided into various content blocks for developing contact forms, adding CTA buttons, newsletter options and more. Tools like the Appointment Manager and the Timetable plugin further allow users to keep track of their clients. The Massage Therapist theme is great for promoting beauty salons and psychotherapy services. The interface allows you to create web stores, pages, and blogs in a matter of minutes. Here, developers can find tools for making online bookings, scheduling sessions, adding newsletter and cta options etc. The WooCommerce integration allows you to track transactions and further monetize your services. 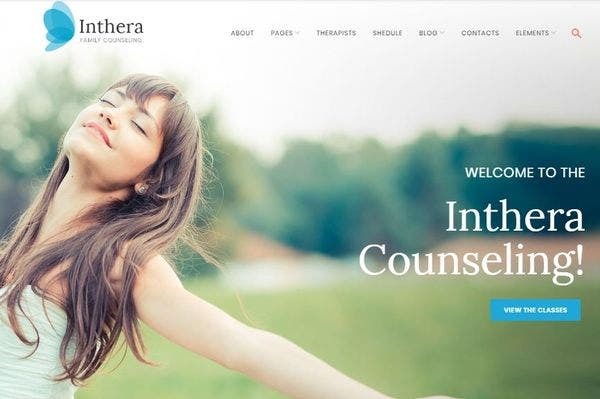 Inthera Counselling WordPress theme is a powerful, intuitive and interactive theme for therapists that comes with a host of easy tools and features. Loaded with 25+ modules, a collection of preset post types and layouts, making a web page from scratch takes but a few minutes. The content blocks allow you to add blog articles, contact forms, build a portfolio and even add a price chart, sliders and a newsletter option. 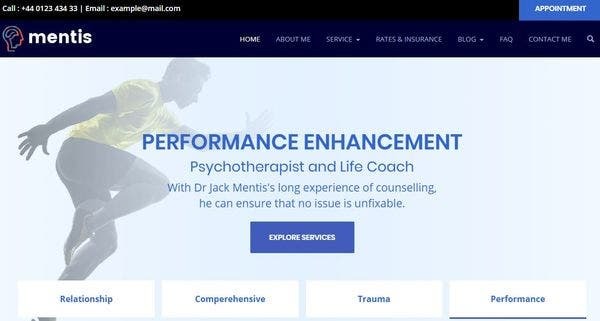 Mentis WordPress theme is a theme ideal for professional therapists and budding psychologists alike. The drag and drop interface incorporates a set of editing tools and demo modules. The custom layouts come with various content blocks and readymade sections for adding blogs, images, videos, and other functionalities. The Visual Composer plugin and Revolution Slider only enhance the credibility of the theme. FMC Counselling WordPress theme comes with an intuitive interface, a dashboard full of customizable tools and an editor for making real-time changes. You can browse through the collection of custom layouts, post formats for publishing content, adding images and videos. There are over 80 shortcodes, Google Fonts, Maps, SEO tools, a form-builder and live chat option for connecting with your clients. Vital was developed solely for healthcare institutions and hospitals. Here, you can curate a beautiful therapy website to connect with clients from across the globe. The interface is easy to work with, the dashboard comes with a custom widget for adding text, images, and other graphics. Plus the SEO tools, Gravity Forms plugin, WooCommerce integration only make the theme better. 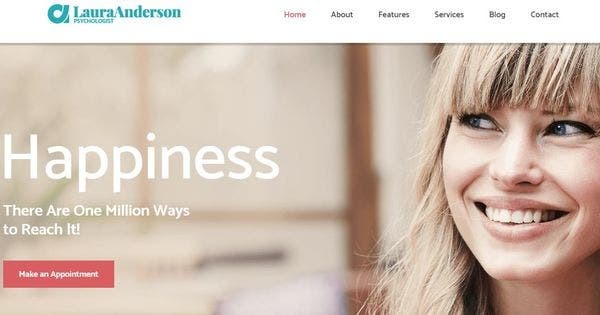 Powered by Redux Framework, this WordPress theme is perfect for both professional agencies and individual psychologists. The customizable interface comes with ready made layouts and demo modules- all you have to do is add your content and you’re set. Here you can build contact forms, landing pages, stores, and blogs, add animations, parallax, custom sliders and more without any coding. Google Fonts Library, FontAwesome Icons, Visual Builder and Mailchimp plugin are included in the theme. 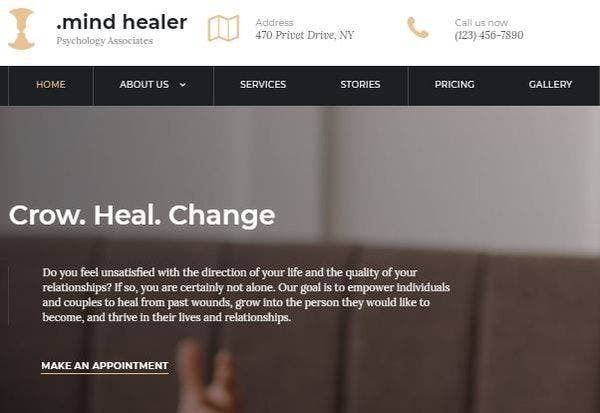 Mind Healer is an eCommerce WordPress theme targeting therapists, doctors, and medical establishments alike. Here, you can build a web page from scratch without writing a line of code. Add images, integrate blog posts, share it on social media– all in minutes. Browse through the readymade layouts and demo modules, improve your visibility using the SEO tools and monetize your services with e-commerce- you can do it all here. 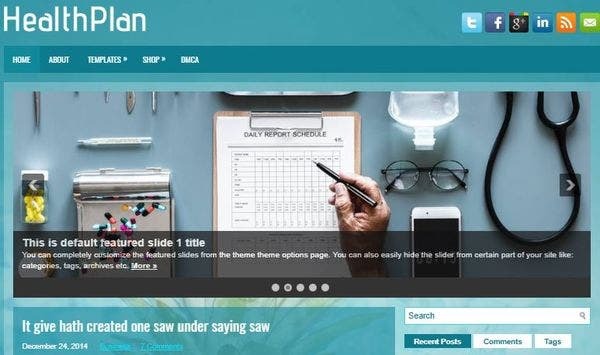 Hearten is crafted for therapists and doctors to showcase their services worldwide without indulging in complicated coding and other technical intricacies. 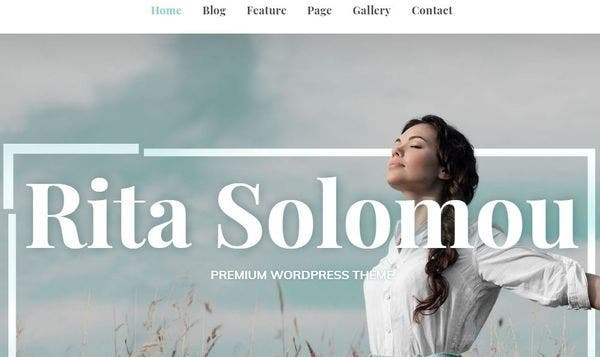 This WordPress theme comes with one-click demo modules that load quickly and allow you to customize the layout as you want. Here, users get free access to unlimited color schemes, images, graphics, and preset templates. There are 5 custom widgets, 2 header styles, and 8 stunning built-in content blocks for your use as well. 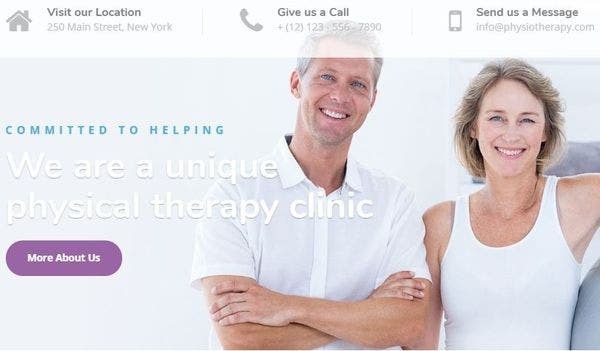 BeClinic theme is an all-in-one space for medical experts and therapists who want to venture online. Here you get a wide range of demo sites, categorized into different sectors, to suit your needs. The drag and drop interface allows live customization and is compatible with mobile devices. Other plugins include Jet Elements, Elementor plugin, Revolution Slider, Events Calendar, and WooCommerce integration. 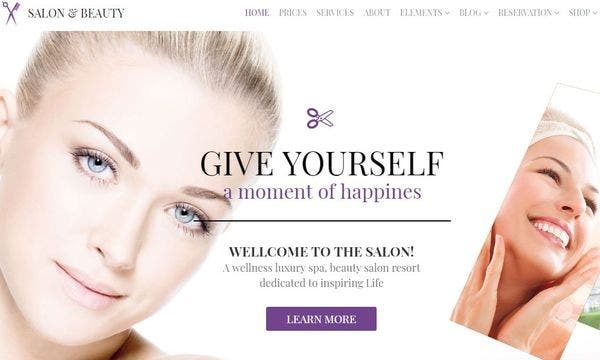 Salon, as the name suggests, is a WordPress theme suited for spas, salons and massage centers. Here, you get two menu designs, store building tools, blog modules etc. for quick and hassle-free web development. The Visual Composer integration with the Ultimate Addon extension and the visual elements plugin allow flexible front-end and backend editing. Plus there are numerous shortcodes, readymade layouts, one-click demos and unlimited color schemes for your benefit. 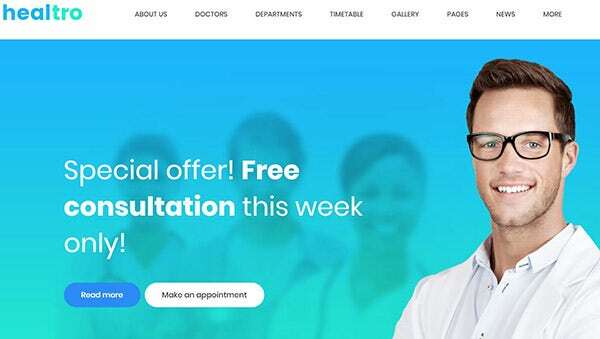 Medici is a one-stop solution for doctors, medical institutes and hospitals to build stunning websites in a few simple clicks. Attractive, intuitive and user-friendly, the interface is optimized for mobile devices. Here, you get about 4 homepage layouts, several demo modules, 600+ Google fonts, custom sliders, unlimited color themes, a blog module, and multilingual customer support. Healtro is a robust WordPress theme comes with all the standard features and functionalities you’d expect from a therapy-related platform. The interface allows you to build blogs, contact forms, add CTA buttons, make landing pages and edit them in real-time. The SEO tools, CMS options, e-commerce support, and advanced booking system make the theme more practical and effective. 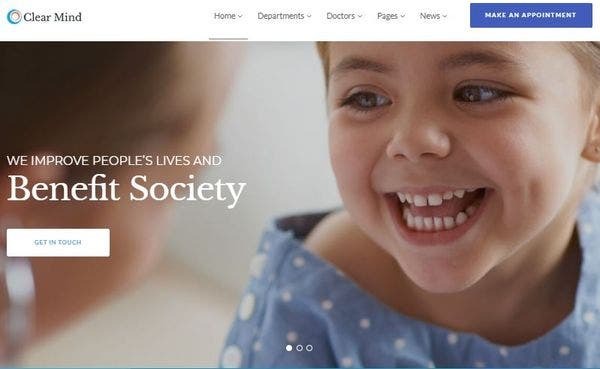 Pulse is a niche WordPress theme suitable for medical institutions and individual therapists alike. The interface includes custom widgets, readymade layouts and a dashboard full of features for adding content and editing it as you like. The visual composer plugin, advanced booking system, and WooCommerce integration allow you to track clients better. 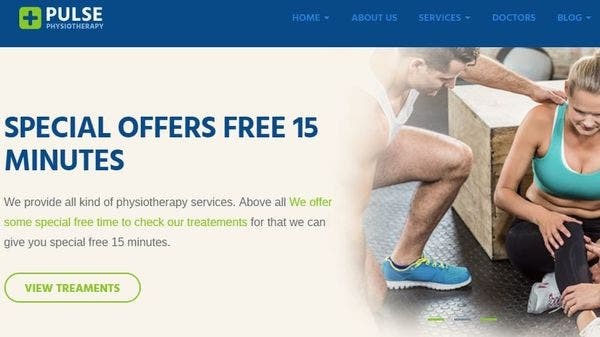 Physio is an interactive WordPress theme designed for providing physiotherapy and rehabilitation services. It comes with a one-click demo that redirects you to a drag and drop interface. Here, you can choose from the numerous layouts, add content and also preview the changes made in real-time. Additional perks include an Appointment Booking Calendar, SEO tools, Google Fonts, and Maps support and WooCommerce integration. 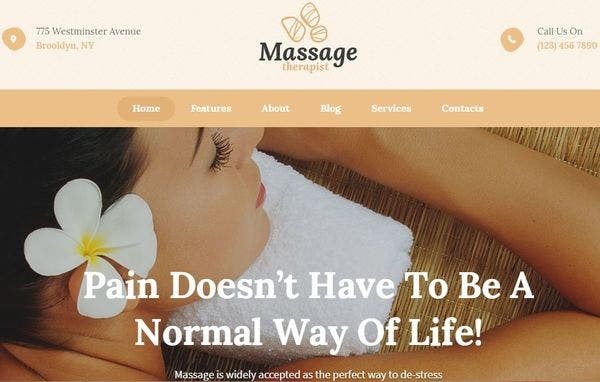 UpLife is a recent addition to the WP themes that has quickly become a hot favorite among individual massage therapists, acupuncture specialists alike. Armed with stunning designs, a customizable interface, and demo modules, the theme is perfect for adding contact forms, CTA buttons, scheduling appointments, monitoring bookings, and offering price rates and seasonal coupons- all from one place. 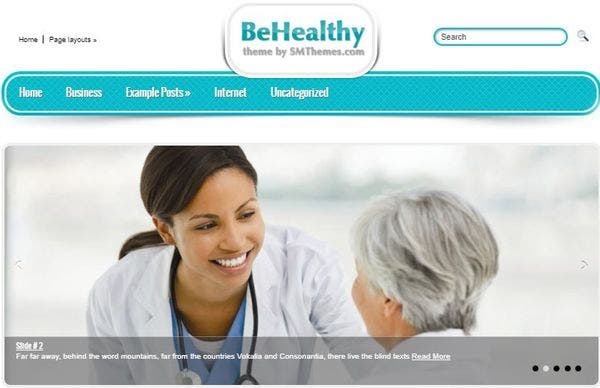 BeHealthy WordPress theme includes a built-in admin and allows you to build multiple pages under one account. The interface allows complete freedom in editing the layout, color schemes, typography features, images and more. You can manage your client reservations, offer discounts, and display pricing options as well. 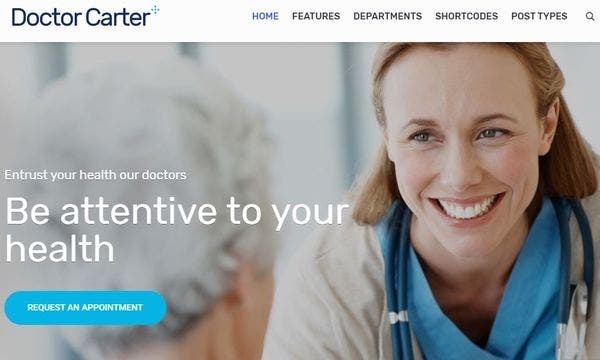 Doctor Carter is a theme tailor-made for therapists and psychologists who wanted to expand their services online. The theme caters to private doctors, small clinics and established hospitals alike. It is a one-stop solution for professionals, loaded with liquid and boxed layouts, HTML5 and CSS3 coded, header configurations, color themes and third-party plugins for adding calendars and managing schedules. 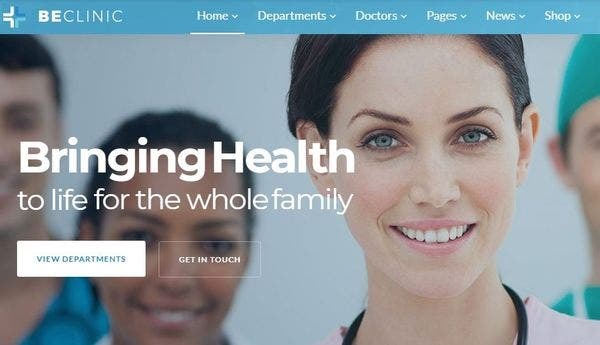 HealthPlan comes with a drag and drop interface, an in-built live editor and a dashboard full of free tools and demo modules. There are various ready made templates for building blogs, web pages, landing pages, homepages, contact forms, and stores. Other perks include a collection of widgets, SEO tools, Google Fonts, free hosting and e-commerce support. 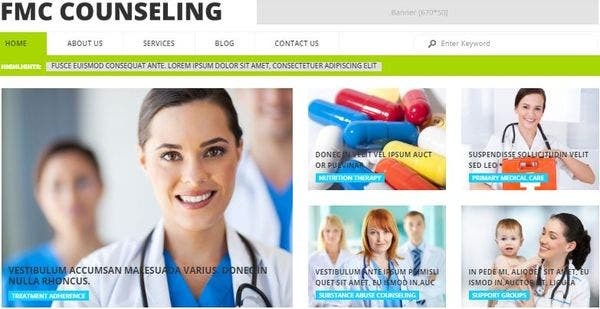 These therapy themes by WordPress have made life a lot easier, both for web developers and clients in need for these medical services. Replete with advanced functionalities, these themes enable you to spread the word about your services, get more business and help more people.